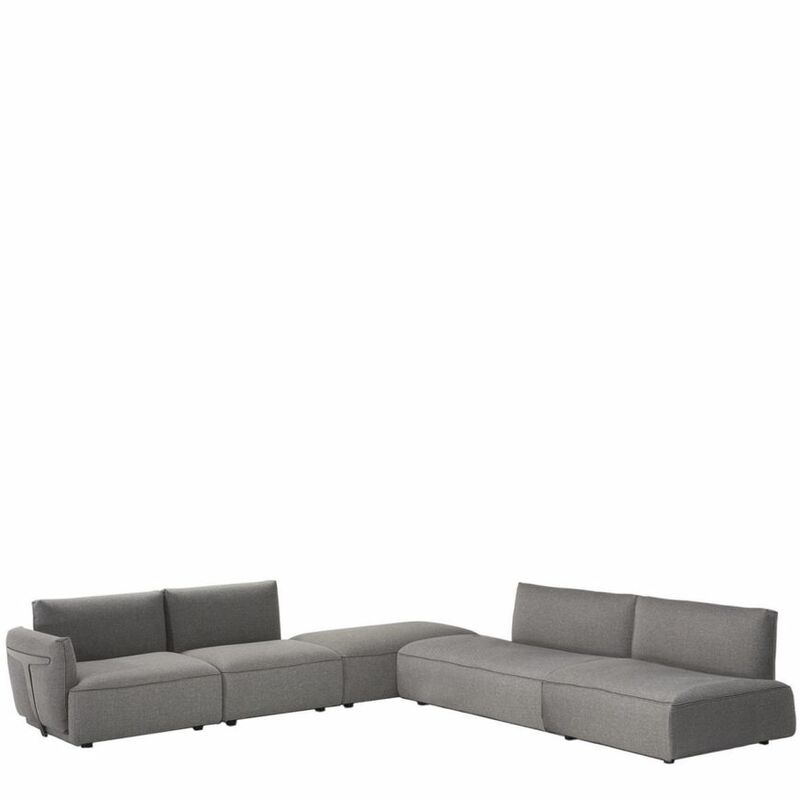 Designed by architects Manzoni and Tapinassi from NATUZZI ITALIA, the HERMAN sofa is a harmonious, comprehensive and highly modular seating system. A very stylish feature is the external metal support around the backrest and seat, giving dynamism to the structure. HERMAN is not just a sofa: it is an interior design system made up of different elements that can be combined in various configurations or used alone, adding dynamism and originality to the living area. The HERMAN sofa features deep comfortable seats with low backrests and matching cushions; the armrests are equally clean-lined and enhanced by stylish stitching details. *Please note that as this is a modular sofa, dimensions will vary depending on your prefered configuration.